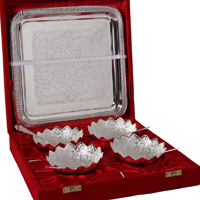 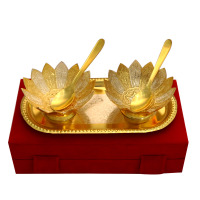 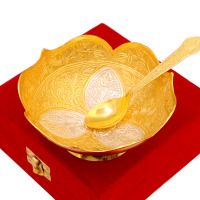 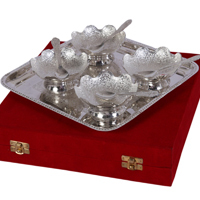 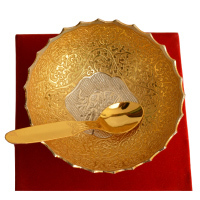 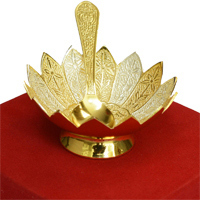 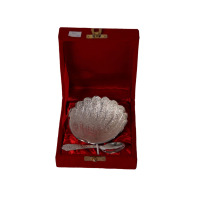 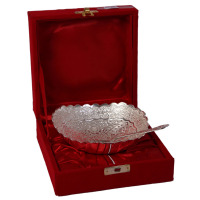 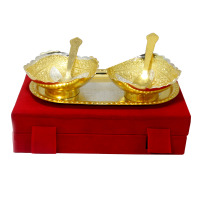 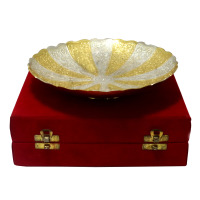 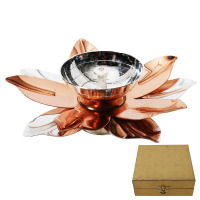 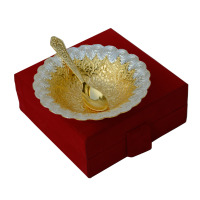 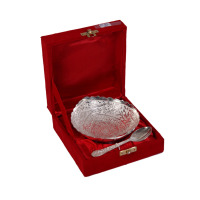 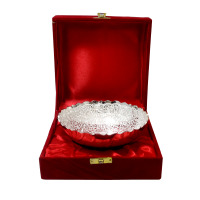 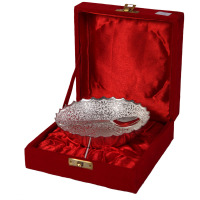 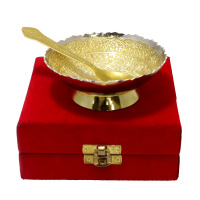 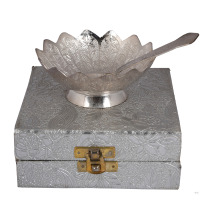 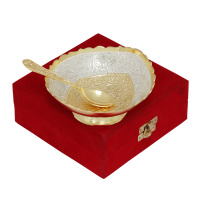 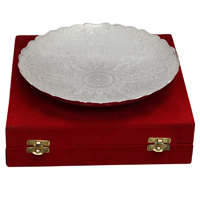 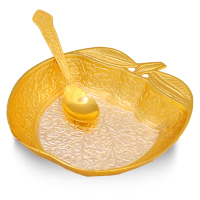 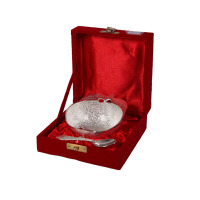 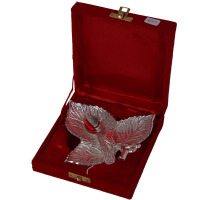 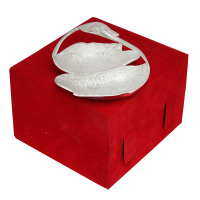 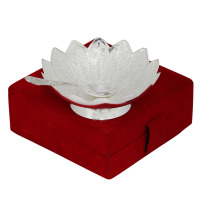 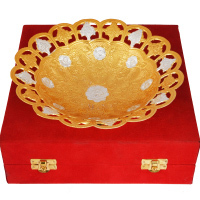 This elegant dry fruit bowl shaped like a lotus is made entirely out of german silver. 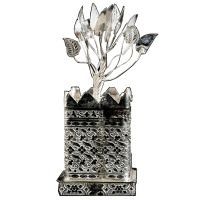 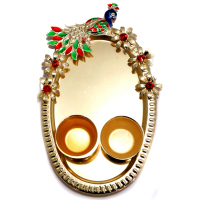 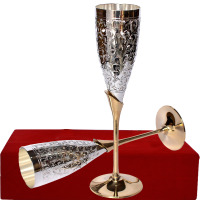 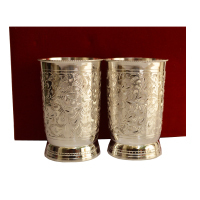 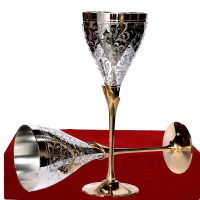 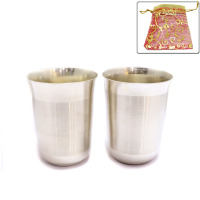 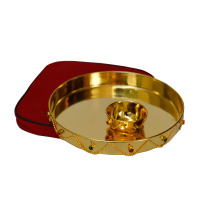 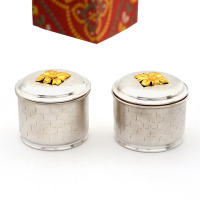 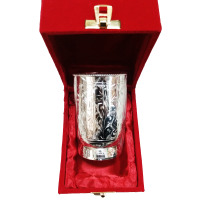 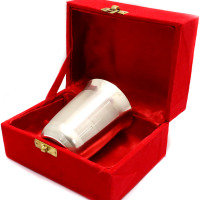 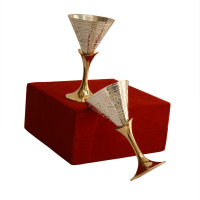 This item will hugely contribute to the aura of any room. 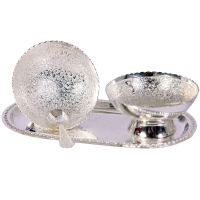 Serving bowls are an integral accessories in your kitchen as they serve multiple purposes. 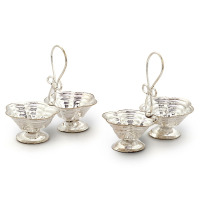 The natural gleam of German Silver can make your kitchen glow naturally too! 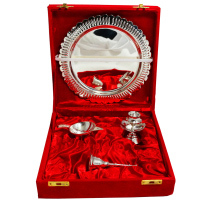 Charm your guests now with this two toned german silver bowl and spoon representing fine craftsmanship with the perfectly carved designs. 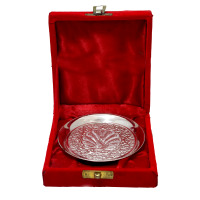 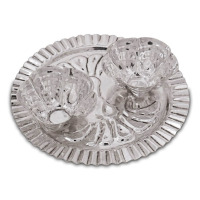 If Platter matters most, then this german silver plate is the best way to go to make your dishes look more delish. 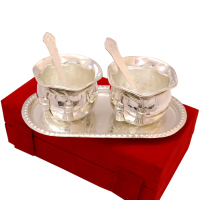 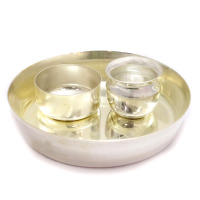 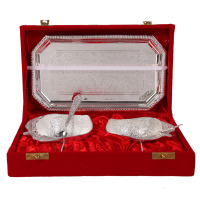 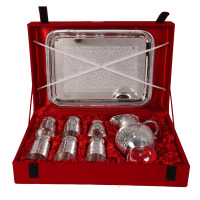 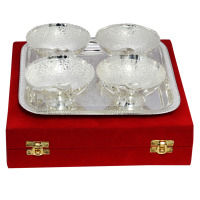 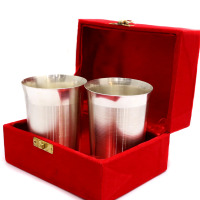 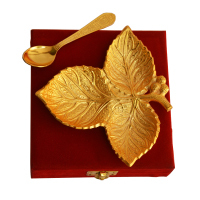 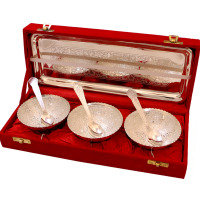 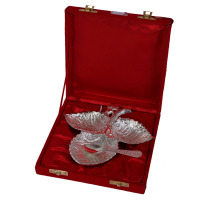 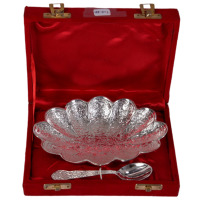 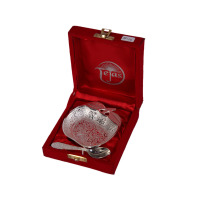 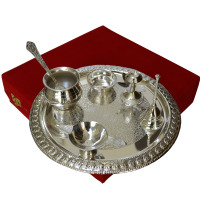 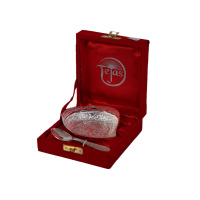 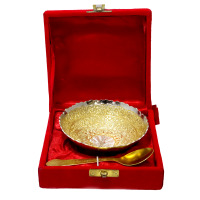 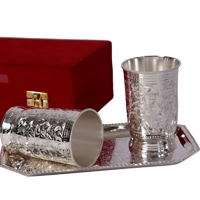 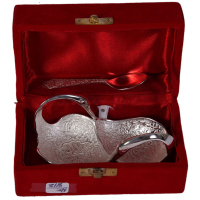 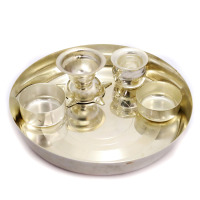 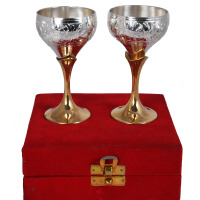 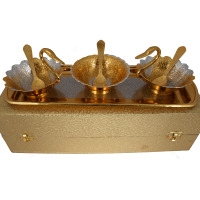 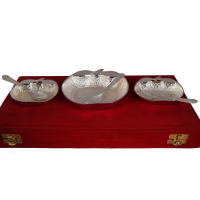 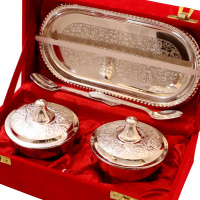 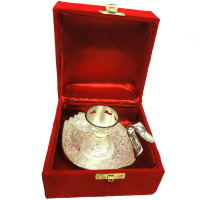 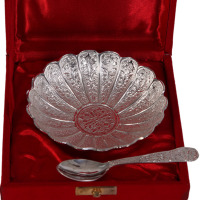 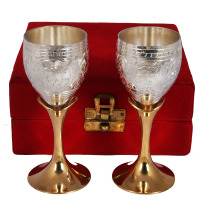 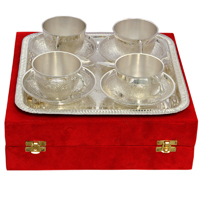 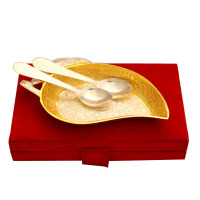 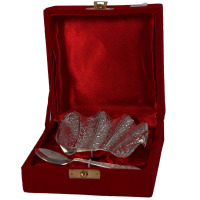 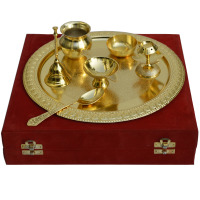 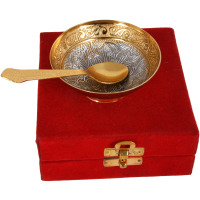 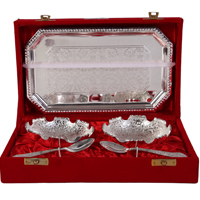 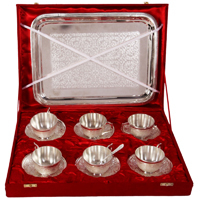 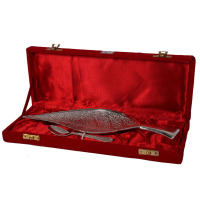 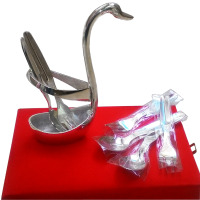 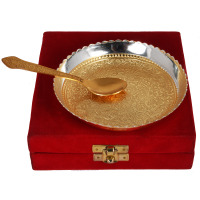 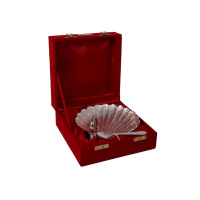 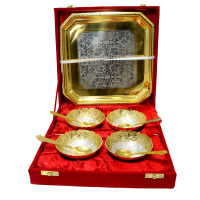 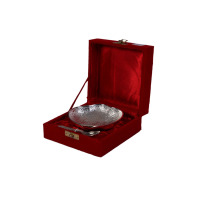 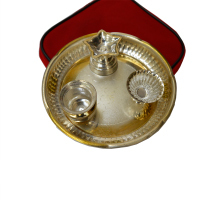 Now woo your guests and keep them hooked with this set of german silver made tray and 4 bowl and spoon set. 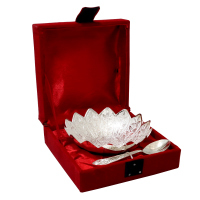 German silver bowl, designed to imitate the shape of a flower not only looks great in itself, but makes its contents stand out more.